GMC has always been the Robin to Chevy’s Batman. It has faithfully played the role of a wingman for quite some time, but now is its time to shine. The 2020 models of the GMC Sierra have been nothing short of a revelation. With revised, controversial exteriors, chrome walloped on the face, and new mills under the hood, the Sierra is set to take on the competition without being in the shadow of the Silverado. Can the well-equipped truck shine like a bright star this time around? GMC has unveiled the facelifted Acadia. Although we all expected just a few tweaks to the body and the cabin, GMC actually packed the Acadia with more than that. 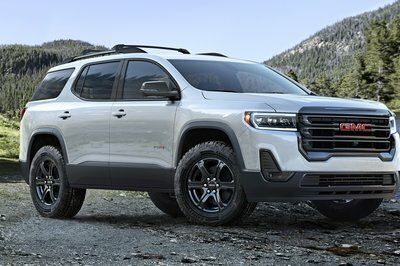 The 2020 GMC Acadia is now available with a new turbocharged engine, new technology, and a host of other features. Hell, the company has even launched a new trim level for the 2020 model year. Is GMC giving the Acadia a major push to capture a bigger market share from one of the fiercest segments? The more utility you can add to a pickup, the better it becomes. That’s a given, but how do you improve on the formula? 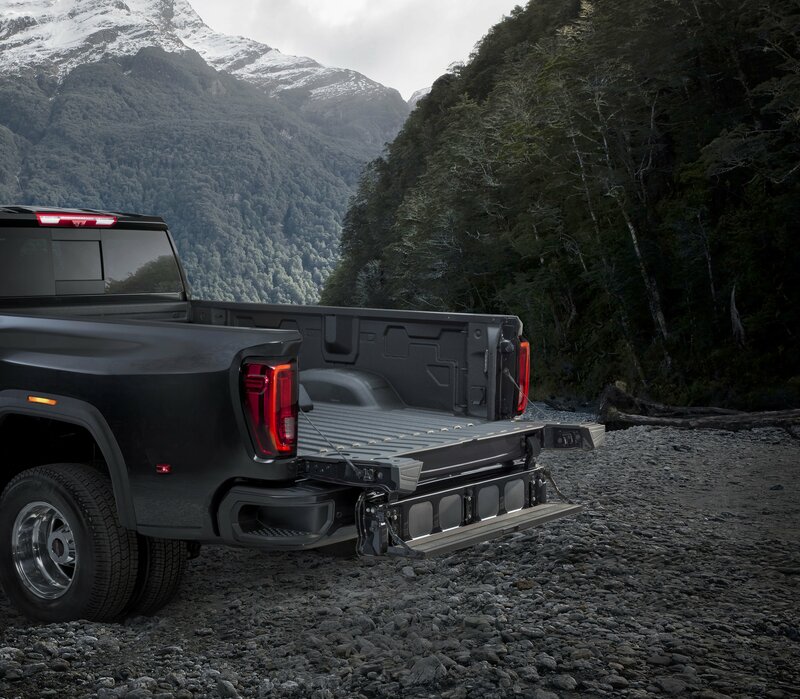 It seems as though GMC found a way with its Multipro Tailgate and 2019 Sierra, which offers multiple configurations for improved access to the box, extended holding capacity, and a second-tier loading height. Now Ram is getting in on the action with its own take on the configurable tailgate concept, offering up something it’s calling the Multifunction Tailgate on all seven trim levels of the 2019 Ram 1500. Granted, GMC was the first in this space, but we think Ram might have the better tailgate this time around. When we used to talk about pickup trucks a decade ago, the general notion was a barebone truck that only knows how to lift weights. It was also taken for granted that, since they are tough vehicles, even off-roading would be easy. But, like we all know, a pickup truck is not automatically qualified to explore untraveled or non-existent roads. Fast forward to 2019, and GMC has launched a truck called the GMC Sierra HD AT4 that is muscular, can travel off-road without showing its ’jungli-ness’, and has an interior that can put well-loaded sedans and SUVs to shame. We finally have a heavy duty version of the Sierra AT4, so let’s check it out, shall we? What Does the Future Hold For GM Trucks? Will the Company Be Able to Compete With Tesla and Rivian? We are a little befuddled listening to what Mary Barra had to say about GM producing an all-electric truck. Who’s Mary Barra? Well, she is the CEO of General Motors and. when asked about doing an electric pickup truck to compete with Tesla’s upcoming pickup, she did not have any answer and just commented, ‘stay tuned.’ Stay tuned to watch GM go down? GMC trucks are like the school students who don’t top the class, but they don’t fail either. They are never in the spotlight for good or bad reasons, with the exception of when the Sierra debuted with that new MultiPro tailgate. 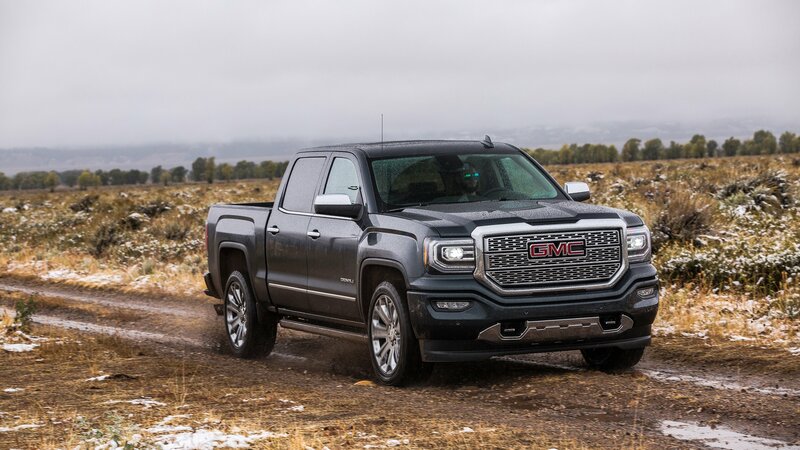 The GMC Sierra HD has been living in the shadow of its competition, the Silverado HD, and despite having a lot of things in common, it has never been able to trump the Chevy. However, it looks like the Sierra is trying to break those shackles with the 2020 model. The Sierra HD looks to have gotten rid of its flaws, and this time, it promises to be a well-packaged truck that can prove to be a serious threat to the competition. General Motors is prepping itself well for the rEVolution. 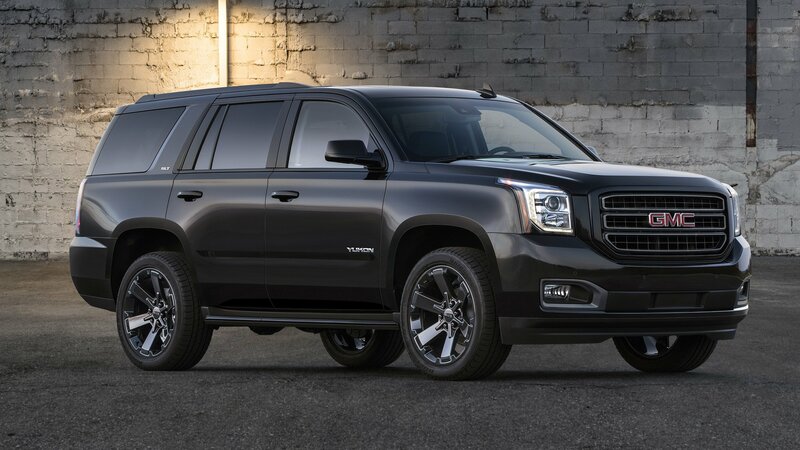 Recently, it announced that Cadillac will be converted into an electric luxury brand, and now, it looks like GMC will be taking the same route. CNBC reports that GMC may be considering an all-electric line up of SUVs and pickup trucks. Do Tesla and Rivian have anything to worry about? GMC didn’t take long to respond to the 2019 Ram HD, and it did so with this gem – the 2020 GMC Sierra HD. GMC Bills this oversized beauty as the most capable truck to ever wear a GMC badge, and we’re impressed. It features a pro-grade trailering system that includes 15 different camera views (maybe you can trust your wife to back up the trailer? ), and there’s a new smart feature that will allow you to remotely test the trailers electric and light system with ease. This monster is powered by a 6.6-liter Duramax that’s good for 445 horsepower and a gut-churning 910 pound-feet of torque, all of which is channeled through a new Allison, 10-speed automatic transmission. Put all of that together into one package, and you have a truck that GMC claims can tow “well in excess” of 30,000 pounds. With all of this in mind, and the downright menacing look of the new HD kid on the block, we’ve decided to feature it as our wallpaper of the day. You can download our favorite or choose some from the gallery below. The new, redesigned, Ford Explorer is here, and Ford touts it as an “adventure enabler.” It’s got more room on the inside, more gizmos, and it can tow a heavier payload than before. 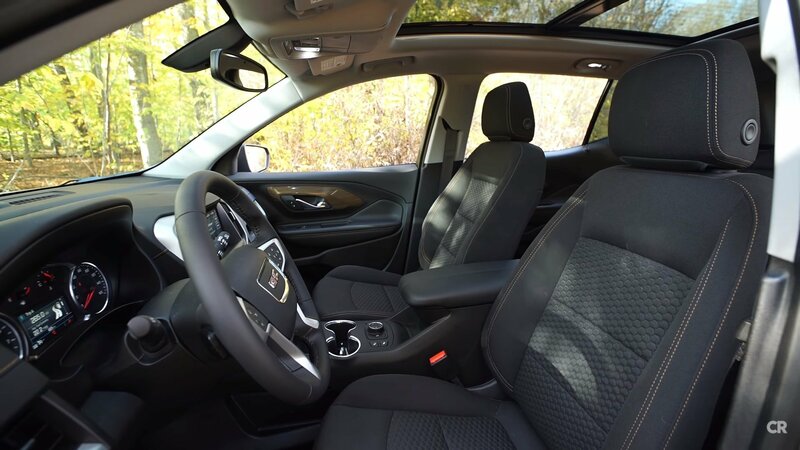 But, as the mid-size crossover SUV segment gets busier and busier, the Explorer must execute to perfection in all areas to remain at the top of the pile. One of its competitors will be GMC’s Acadia. Ford launched the new, sixth-generation, Explorer at an event at Ford Field in Detroit on Wednesday. The automaker says its focus has been on the customer 100%, trying to see what are the areas that the customers are most displeased with and then eliminating these “pain points.” The result, Ford says, is a “reinvented” Explorer. Let’s see how well it stacks up against the soon-to-be 3-year-old GMC Acadia. The car industry never sleeps (except in August) and every year it provides us with numerous solutions to new problems, and with innovations that make us want new cars even more. This is a rundown of 10 awesome vehicle and technology innovations for 2018. In the midst of heavy competition, GMC is offering a new cash incentive program to the tune of $4,500 on any new 2018 GMC Sierra HD. The nationwide incentive comes at a time when competition in the highly lucrative quarter-ton and one-ton heavy-duty pickup market is as high as it’s ever been. If dealing with its current rivals isn’t enough, the Sierra has also had to account for new entrants like the Nissan Titan XD that are making their presence known in the market. The $4,500 incentive applies to all 2018 GMC Sierra HD models, though those who are interested must abide by a number of conditions, including taking delivery of their pickup by October 31, 2018. Just like its predecessor, the Sierra Denali sits at the top of the GMC Sierra lineup, itself a more upscale version of the Chevrolet Silverado 1500. The fourth-generation pickup truck broke cover in March 2018, a few months after Chevrolet debuted the new-generation Silverado it is based on. At the forefront of the premium pickup market since 1999, the GMC Sierra Denali steps into a new generation with redesigned everything. Larger and bolder, the truck benefits from new state-of-the-art technology, and a new transmission. It also boasts many industry-first features, including a carbon-fiber box, a multi-function tailgate, and a rear-view camera. Power continues to come from the familiar 5.3- and 6.2-liter V-8s, despite the fact that GMC just introduced a diesel V-6 option for the regular Sierra. are set to be offered later this year, packing across-the-board cosmetic and performance upgrades meant to give the SUV a more imposing presence in its segment. 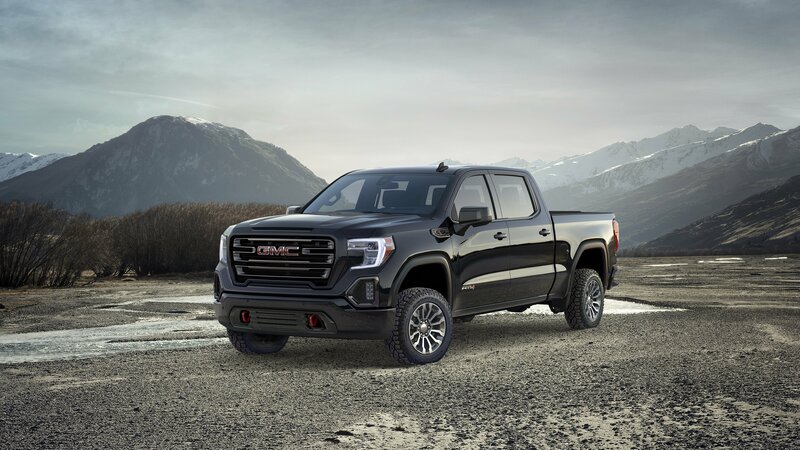 GMC has introduced the Sierra Elevation, a new trim level of the Sierra that will sit between the ALT and AT4 offering customers a rugged pickup with a shot of off-road chops to go with it. 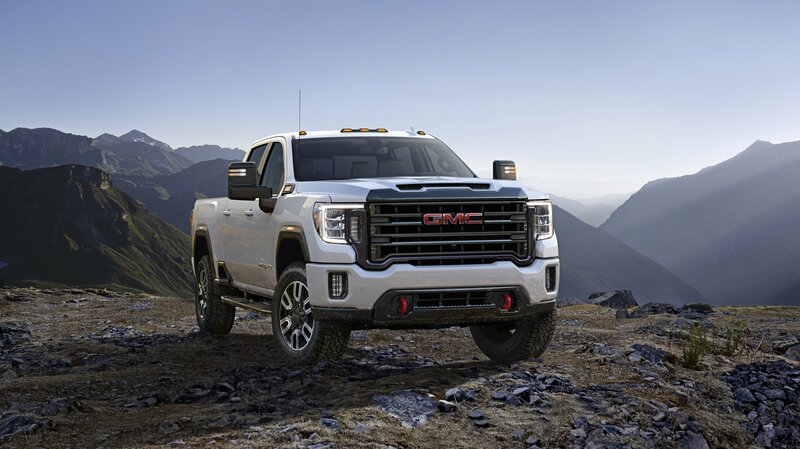 The Sierra Elevation will get a host of exclusive digs to complete its status, all of which are being included to infuse the pickup with a commanding look to go with natural truck capabilities and functionality that all Sierra pickups are known for. Consumer Reports does not like the new GMC Terrain. Actually, that might be an understatement of its own because the publication just laid the smackdown on the new Terrain, squashing the SUV in one of the most damning video reviews we’ve seen in a while. There was a lot said in the space of three minutes, and almost all of them were criticisms of the Terrain. It may only be an opinion of one man — in this case, Autos Editor Mike Quincy — but the beatdown isn’t going to make the Terrain look any better in the eyes of consumers. 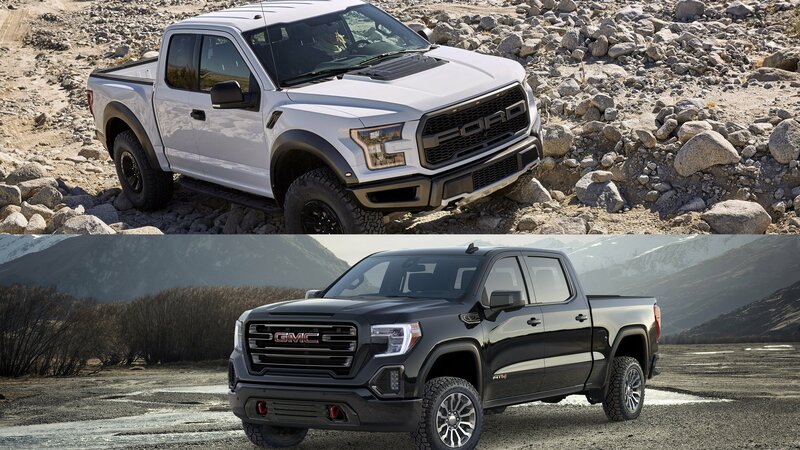 Comparison: Is the GMC Sierra AT4 a Solid Alternative to the Ford F-150 Raptor? 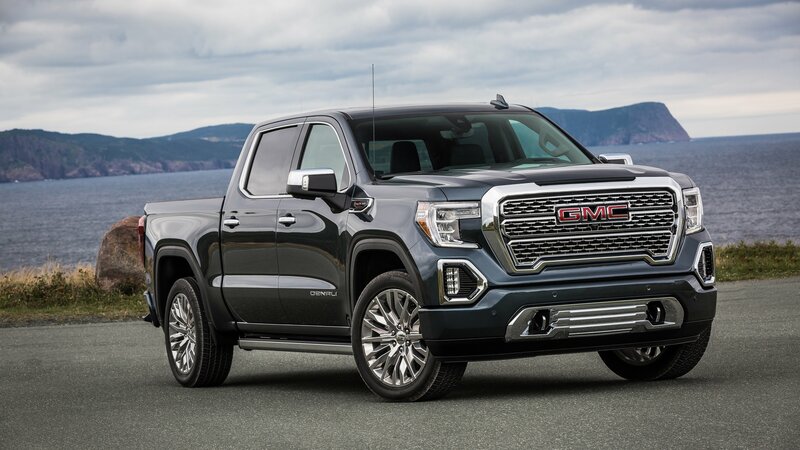 GMC just launched a new-generation GMC Sierra that redefines the luxury pickup truck segment through its imposing looks, premium interior, and segment-first carbon-fiber bed. But General Motors also used the new Sierra to introduce a new model line for GMC vehicles. It’s called the AT4 and adds extra features inside and out and a lift kit. With the Sierra more capable in off-road terrain in this setup, truck enthusiasts can’t help but wonder whether the AT4 is a good proposition for the mighty Ford F-150 Raptor. To answer this question, I’m going to have a closer look at both trucks in the comparison below. GMC is at the New York Auto Show to showcase its latest offering, the Sierra AT4. It’s understandable if you’re not familiar with the nameplate because it’s an entirely new off-road brand that the automaker is offering to appeal to potential customers who want sprinkles of premium goodness to go along with their off-road needs. The Sierra AT4 is the first GMC-branded truck to get the trim, but other GMC models like the Canyon, Yukon, and Acadia will get their own AT4 versions in the future. The pickup truck war is hotter than it’s ever been in the U.S. right now. While Ford has an all-aluminum F-150, GM just launched a brand-new GMC Sierra with an industry-first carbon-fiber bed. Ram is also going strong with a fresh 1500 model. Attracting more and more customers into dealerships is not an easy task, and this is where special models and limited editions come in handy sometimes. With a brand new Sierra 1500 on its way to dealerships, GMC just unveiled a new model. It’s called the Sierra AT4 and combines enhanced off-road ability with extra standard features and more premium appointments. 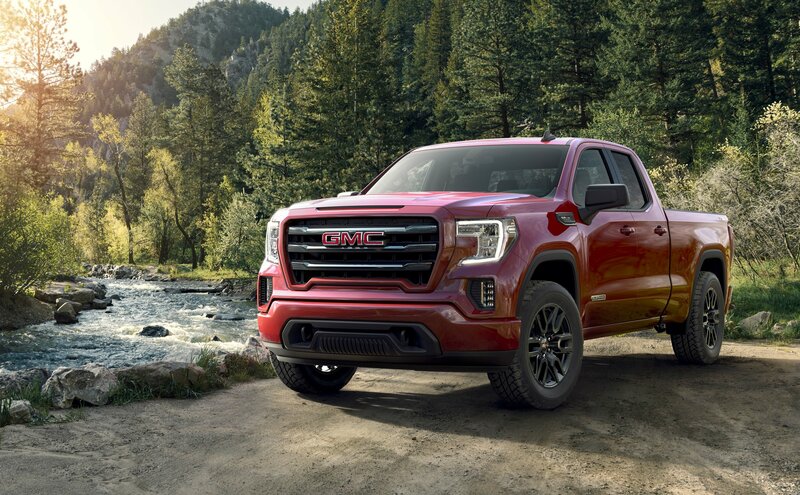 Designed for the customer “who wants an elevated presence on the road and the capability to venture off life’s beaten path,” the Sierra AT4 also marks the debut of a new trim that will be offered on every GMC model in the next two years. Whether specs will be similar, it remains to be seen, but all we know is that the Sierra AT4 rides higher than the standard pickup truck and comes with an extended list of standard features. 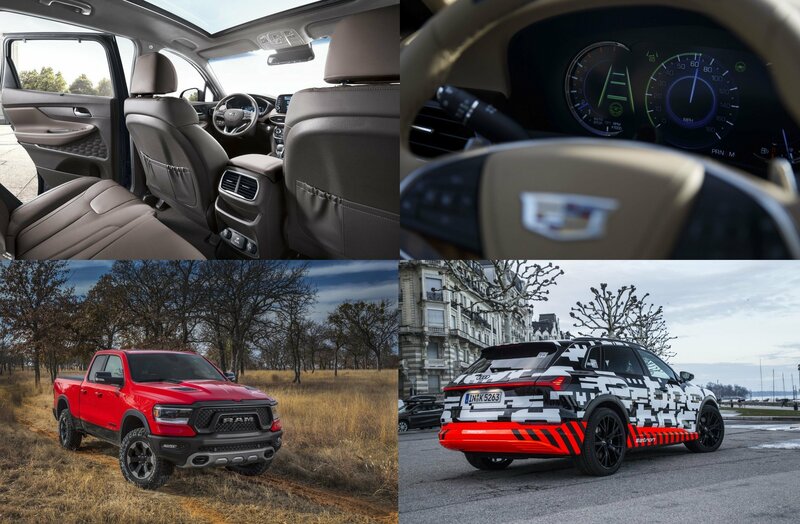 But despite boasting more luxury and sitting higher above the ground, the AT4 isn’t GMC’s highly anticipated response to the Ford F-150 Raptor. But let’s find out more about this trim in the review below. 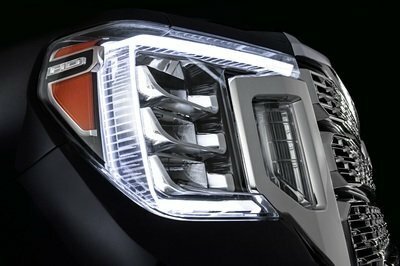 Continue reading to learn more about the GMC Sierra AT4. What’s in a Black Edition? In the case of the GMC Acadia, a lot. The decade-old, mid-sized SUV is getting the special edition treatment in time for the 2018 New York Auto Show. 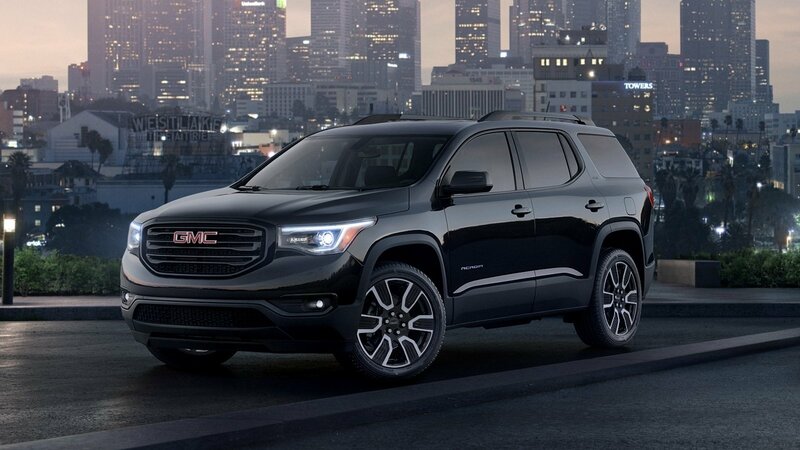 Together with the equally blacked out Terrain Black Edition, the limited-run Acadia gets its name from the prevalent use of black throughout its body, giving potential customers a personalized interpretation of an SUV that’s already teeming with its own personality.